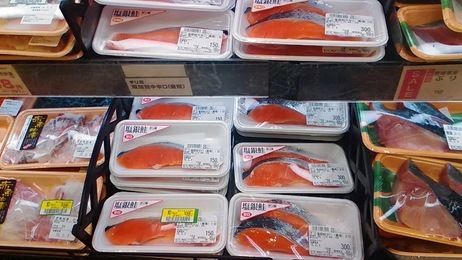 In the fish section of each supermarket, you will notice that there is a section for fish that is to be eaten raw as in Sashimi or Sushi, and a section that sells fish that is to be cooked. The two are usually not sold together. 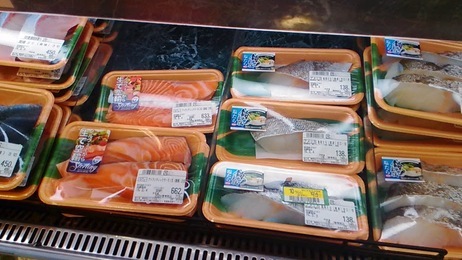 Most packages will be labelled "刺身用" (To be used for sashimi) and if they are not, you should not eat them raw. In the section that sells fillets, you should look for the following kanji as they will tell you if the fish is already seasoned with salt or not. Nama(生) Raw - It is not seasoned, so you can season it as you like. Amakuchi(甘口) - Lightly seasoned with salt. Chukara(中辛) - Seasoned with salt. Ohkara(大辛) - Strongly seasoned with salt. -Very salty! Zuke (漬け） - Marinated fish ("zuke" means to marinate) . They can be cooked by removing the excess marinade and grilling it. The popular marinades are Saikyo-zuke(西京漬け) which is marinated in white Miso, Mirin-zuke(みりん漬け) which is marinated in Mirin, and Kasu-zuke(粕漬け) which is marinated in sake lees. 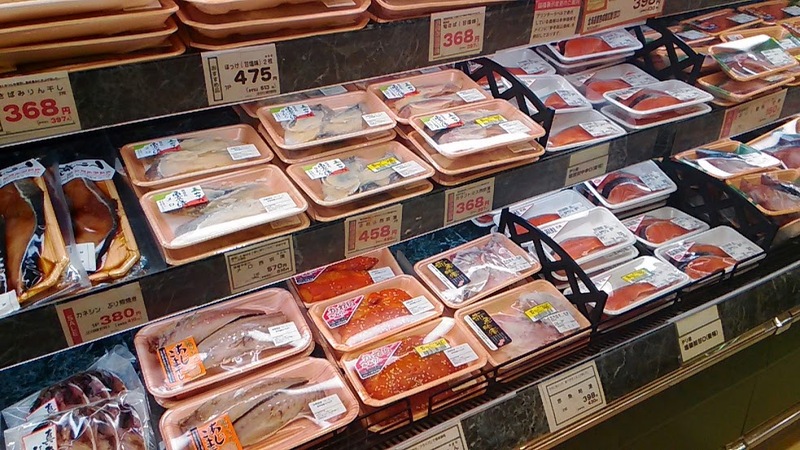 The label should have "生" on them if it's not seasoned, especially for cod and salmon. Norwegian Salmon is one of the most popular raw salmon. Especially when buying salmon, make sure whether it has the Kanji "生" or "塩". 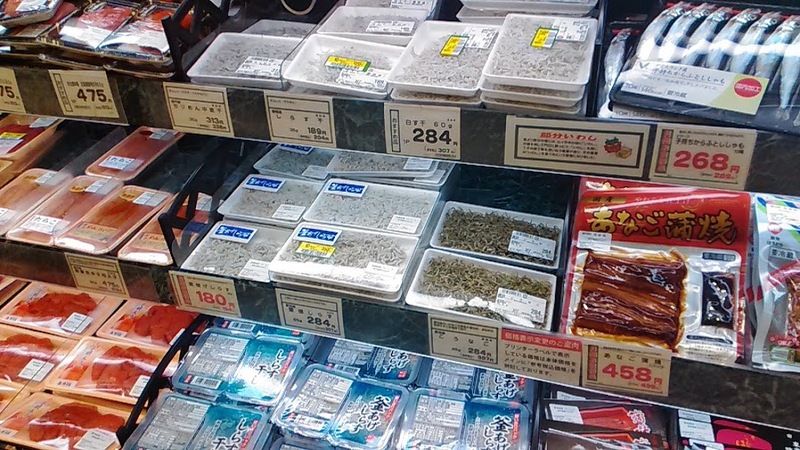 You will find dried fish and marinated fish in most supermarkets. These are to be eaten by just grilling them. The small fish you see in the fish section are baby sardines. A great source of calcium. They boiled ones are called Shirasu "しらす" and the dried ones are called Chirimenjako "ちりめんじゃこ"